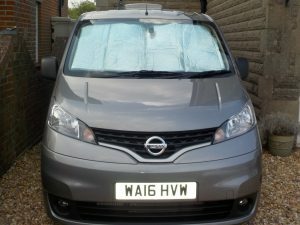 NV200: Curtains and blinds – Do your dream! 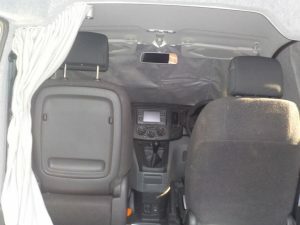 The campervan will have a couple of types of usage – discreet overnighting, and campsite camping. Also, we expect to be overnighting in both hot climates and cold winter sport areas. Finally, the windows are single glazed so we need to consider condensation. 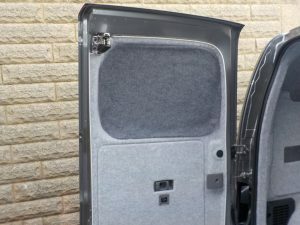 This is a curtain that goes behind the cab seats separating the cab from the habitation area. Black on the cab side, and light grey on the habitation side. 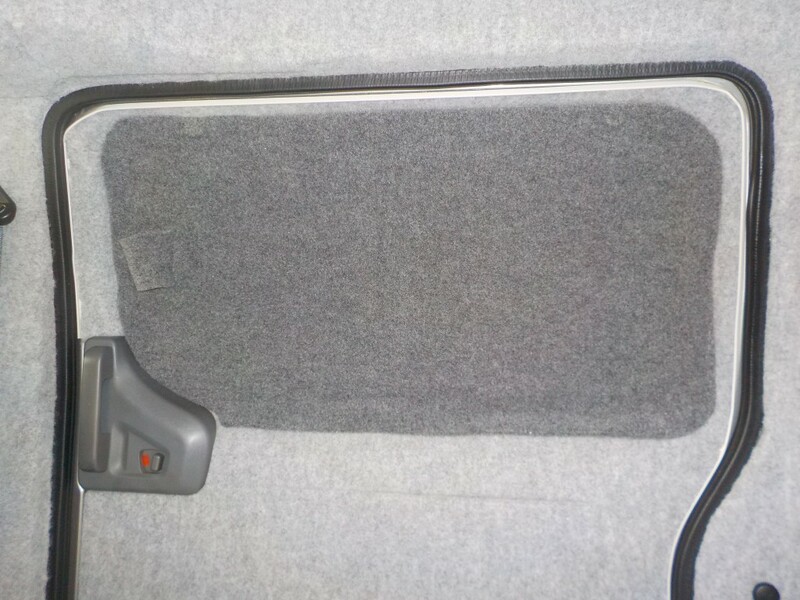 This is on a rail and is “tightly fitted”, and when we lined the B pillar we put magnets under the lining. So, with channels in the side of the curtains they create a “light tight” curtain from each B Pillar and from ceiling to floor. This curtain is also fairly thermal so when closed the habitation stays cooler in the summer, warmer in the winter. 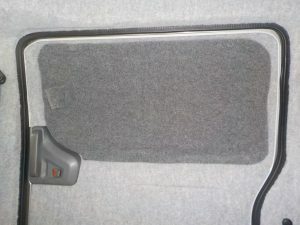 And the cab heater has less to heat when driving in the depths of winter, and the habitation heater has less to do in the winter. From outside, it looks like a black metal bulkhead so perfect for discreet camping. On the bottom there is a cut out for the heater outlet. Really pleased with this, good fit, looks great and works a treat. My mother stupidly kindly offered to make the curtain for us, and suffered for doing so (old age 🙂 ) – but did a really stonking job to my specifications. 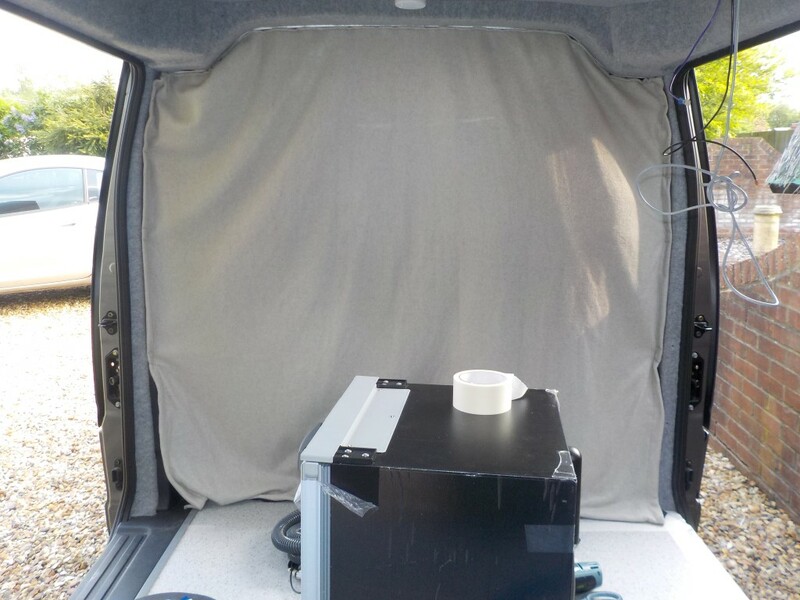 I think when she offered the fact strong magnets were needed to be sewn in, and there was a cutout for the heater, and the heading needed multiple curves was omitted… And of course I’m quite fussy how things are done on the van 🙂 But thanks, and great job mummy! 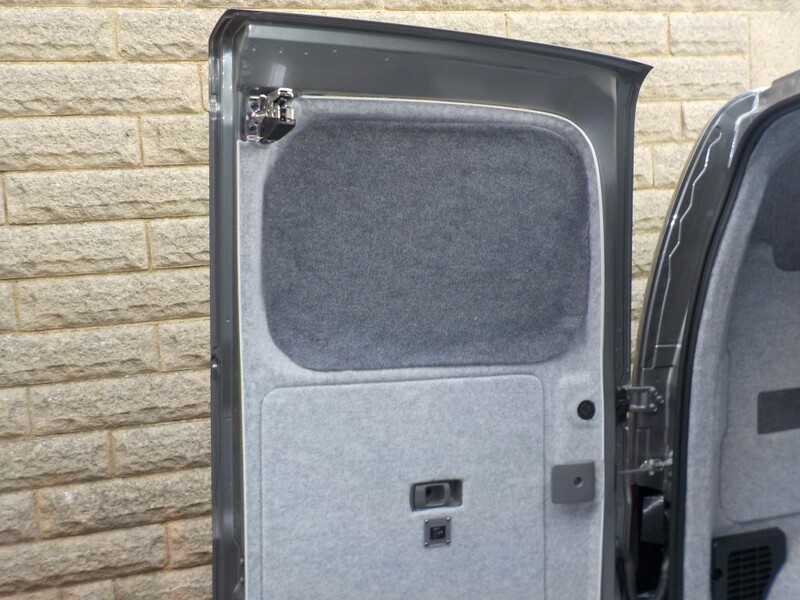 Bit of a cop out this one, but we found a seller on ebay making internal screens/blinds for the NV200 for £56 or so. This included the two cab side windows and the front screen. The design gave us a reversible pair with silver one side and grey the other (could have black). The side windows fix with magnets and are reversible. 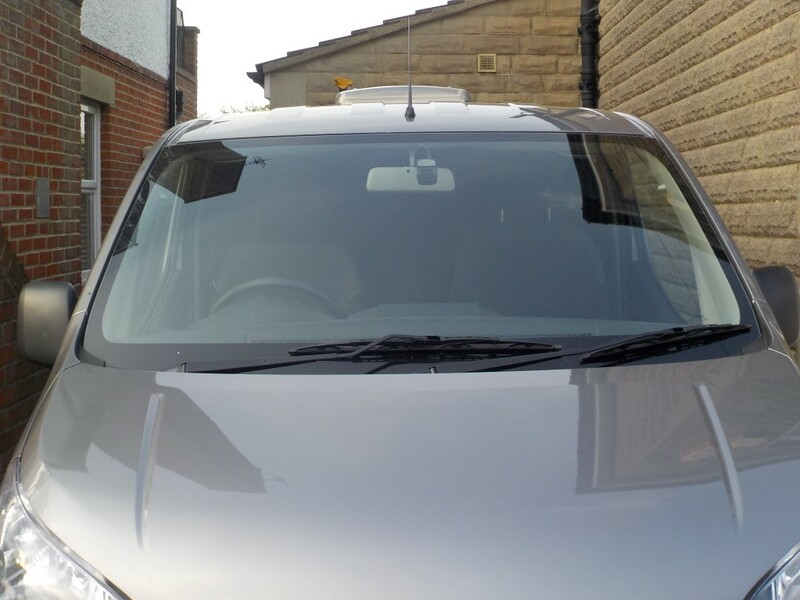 The main cab windscreen is again reversible and covers the little side corners. This needs no fixing, the sun visors and the corner tabs hold it up. So no sucker marks! Installs totally internally within a minute or so. These pack down VERY small and could fit under the seat. The rear windows are single glazed, and we can’t let cold damp (breathed) air get to them in winter, also for discreet overnighting we don’t want light being visible. So, around each window we hid magnets under the lining. Then, we made blinds out of darker linking carpet (cosmetic) with corresponding magnets which affix strongly giving an airtight seal (ish). The blinds themselves consist of an internal dark lined bit with 9mm of foil insulation (3 layers), stuck to a double lined oversized dark lined bit. So these insulation bits fit “in” the window recess and the bigger bit just outside making it look neat, closing up gaps, and being strongly fixed. These are flat and will have a home near the offside rear barn door. We will also make an insulated filler to go between the rear barn doors if cold/draught seeps through there. ← NV200: Seat and Bed is here (Rusty lee rock n roll)!